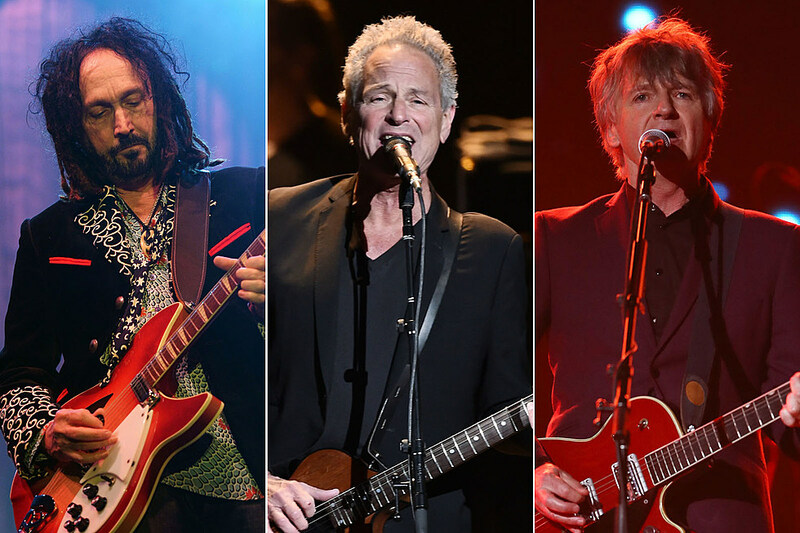 Lindsey Buckingham’s second tenure with Fleetwood Mac has apparently come to an end. Reports are saying he has parted ways with the band 22 years after their classic lineup reunited and that he’ll be replaced on an upcoming tour by Mike Campbell of the Heartbreakers and Neil Finn of Crowded House.Rolling Stone is reporting that Buckingham was fired over a disagreement regarding the tour.“Fleetwood Mac has always been about an amazing collection of songs that are performed with a unique blend of talents,” Mick Fleetwood told Variety. “We jammed with Mike and Neil and the chemistry really worked and let the band realize that this is the right combination to go forward with in Fleetwood Mac style. We know we have something new, yet it’s got the unmistakable Mac sound.”“We are thrilled to welcome the musical talents of the caliber of Mike Campbell and Neil Finn into the Mac family,” the band added in a statement. “With Mike and Neil, we’ll be performing all the hits that the fans love, plus we’ll be surprising our audiences with some tracks from our historic catalog of songs. Fleetwood Mac has always been a creative evolution. 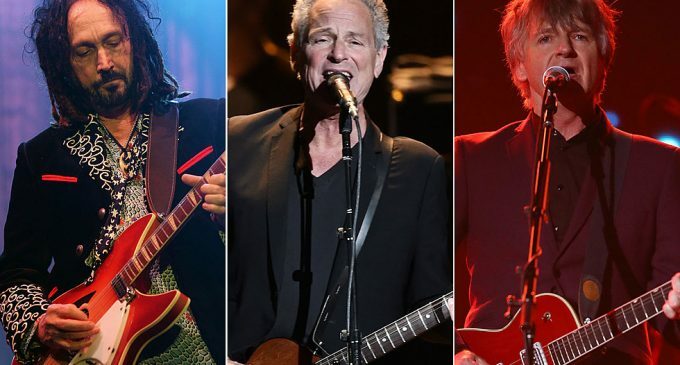 We look forward to honoring that spirit on this upcoming tour.”The statement concluded that “Lindsey Buckingham will not be performing with the band on this tour. The band wishes Lindsey all the best.”According to Variety, news of Buckingham’s departure was first made public on April 4 when Billy Burnette, who took over for Buckingham from 1987-95, tweeted, “Breaking news: Lindsey Buckingham is out but I’m not in.” The tweet was deleted a few hours later.Campbell’s connection to singer Stevie Nicks runs deep; they worked together on her 1981 debut solo album, Bella Donna. The record came about after Nicks told Atlantic Records’ president, Doug Morris, that she wanted to be a member of Tom Petty and the Heartbreakers. Morris told her that Petty had a rule: “No girls allowed.” Variety adds that Fleetwood played with Finn’s son, Liam, at an event in New Zealand last year.The arrival of Buckingham and Nicks, then a couple, on New Year’s Eve 1974 changed the fate of Fleetwood Mac. The band had been primarily known as a solid but low-selling blues band up to that point, and the pop sensibility the duo brought, beginning with 1975’s Fleetwood Mac, turned them into superstars. Two years later, their breakup, as well as the divorce of bandmates John and Christine McVie, was chronicled on the hit album Rumours.Buckingham left shortly after the release of 1987’s Tango in the Night, when Burnette and Rick Vito replaced him. But he came back, first for their performance at President Bill Clinton’s inauguration in 1993 and then four years later for The Dance live LP.Campbell joined up with Petty in the early ’70s, when they were in the band Mudcrutch. He became Petty’s most important collaborator throughout the years right up until Petty’s 2017 death. In addition to Nicks, Campbell has also worked with Don Henley, Johnny Cash, George Harrison, Warren Zevon and many others.A native of New Zealand, Finn got his start in 1977 when he joined Split Enz, who were fronted by his brother Tim. Over the next few years, he began taking a bigger role in songwriting, giving the band an international hit in 1980 with “I Got You.” After their 1984 breakup, Finn formed Crowded House and had two Top 10 hits, “Don’t Dream It’s Over” and “Something So Strong,” from their self-titled 1986 debut. They broke up a decade later, and Finn has since released several solo albums and occasionally reunited with Crowded House. He confirmed his involvement in Fleetwood Mac on Twitter.